Ankle fractures occur often in sports activities. Treatments for ankle fractures in athletes are focused on early return to sports activities. For early rehabilitation, precise anatomical reduction and firm fixation are needed. 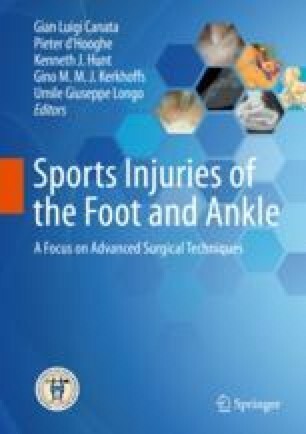 In this chapter, surgical treatments for ankle dislocation fractures concomitant with deltoid and tibiofibular ligament injuries are shown.